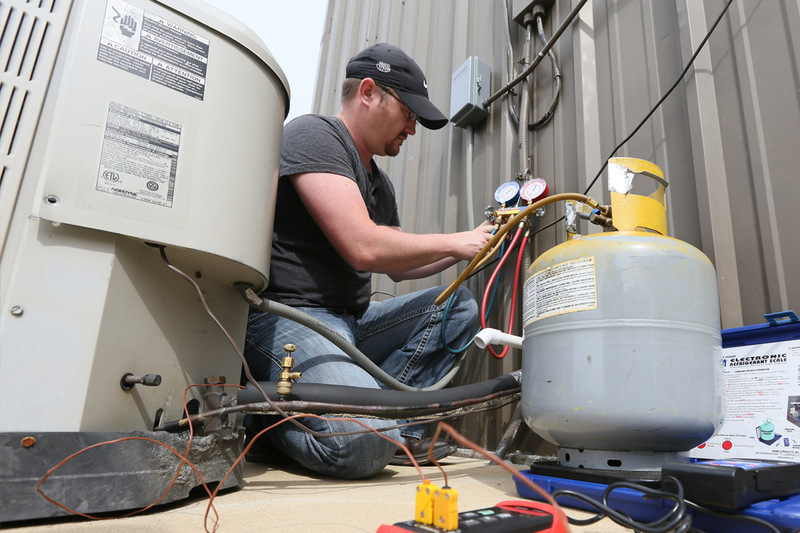 The Energy Control Technology program prepares individuals to apply technical knowledge and skills to repair, install, service and maintain the operating conditions of heating, air conditioning, and refrigeration systems. The program includes instruction in diagnostic techniques, the use of testing equipment and the principles of mechanics, electricity, and electronics as they relate to heating, air conditioning, and refrigeration systems. Emphasis is placed on the repair and installation of residential and commercial heating and cooling systems. Students who have completed the Energy Technology program have been employed by companies like Nestlé, Ritter Communications, Butterball LLC, public school systems, and commercial and residential air conditioning contractors. Have you found your starting point? Apply to the Energy Technology program today.